As I am of the opinion that coin cells are not a good idea for programmable calculators, particularly those powered by processors with high speed capability, I decided to look into modifying my HP-30b to take AAAA-style batteries. For non-programmable calculators, coin cells are fine as the routines for all functions are optimised and will complete usually within microseconds (some really complex functions may take a few tenths of a second at most). However, programmable calculators allow the user to write their own functions and routines that may have many iterative loops that could take several seconds or even hours to complete. 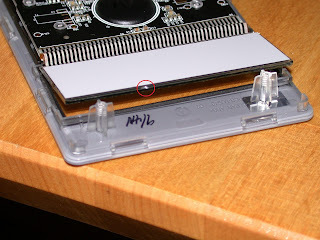 This often puts the processor in a mode that a higher current usage. The current drawn during this time is usually at levels that coin cells struggle to maintain – they have significant internal resistance to start with which gets worse as they discharge. I have read that the ATMEL based range of calculators can use upwards of 20mA during program execution. There has been mention that the processor speed is reduced if a program continues for an extended period. However, someone regularly running a program that takes a few seconds, would put some strain on the CR2032. The 30b uses 2 CR2032 in parallel, that is ~460mAh. 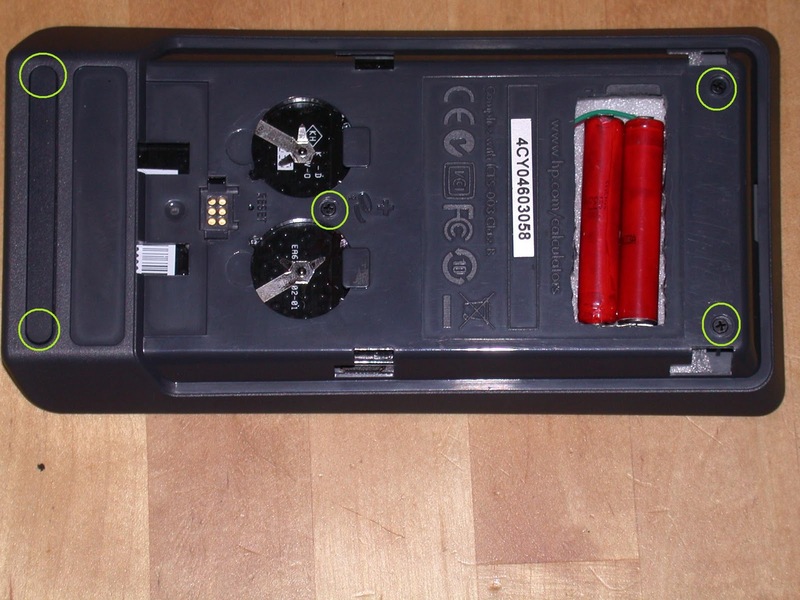 To get the same operating voltage, two AAAA would need to be in series, still giving 600mAh capacity. Also with an internal resistance of two orders lower than the CR2032’s, voltage drop for the AAAA at 20mA is max. 0.006V whereas the CR2032 is min. 0.2V. Thus the AAAA should give a lot more "head room" and be less likely to cause the calculator to die or behave erroneously during "heavy" use during program or formula execution. Also, I have repurposed this unit to a WP-34s. DO be careful so as not to damage the screen. 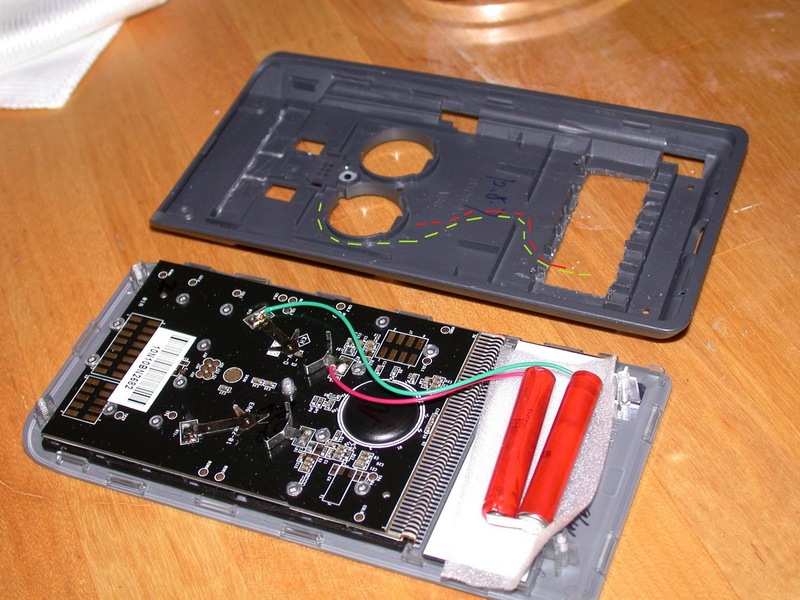 The cells were taken from a 9V battery. They are already conveniently tab welded together, so they can be split into pairs. (for more info to dismantle a 9V, google something like "AAAA from 9V"). 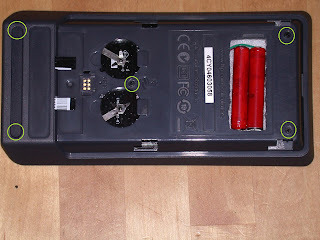 NOTE: the cells that I obtained from a 9V battery, were of OPPOSITE polarity than expected (flat side was +ve) - so check first before connecting!! After some measurements, I decided that directly behind the screen was the only place that had a reasonable chance of success such that when the back sliding cover was in place, it would look like an ordinary 30b. BUT this would mean removing some of the padding that normally protects the screen. I measured the approximate size for the 2 AAAA and marked it, drilled small holes around the inner perimeter of the marking, cut it out and smoothed the edges as best I could. Some of this came with the WP-34s programming cable. 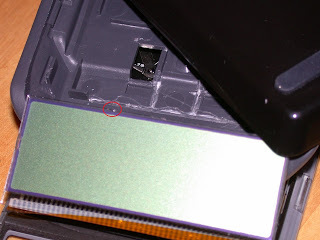 The most frustrating bit for me was getting the inside of the LCD window clean, possibly because it's winter and the dry heated air in the house is making the plastic more static. Hopefully now it is closed there won't be too much dust getting in even though the gasket is removed. Only time will tell how susceptible the screen will be to damage without it's normal padding and batteries right behind it. The quality control of HP calculators has come to light again. When I first opened it up, I noticed a small chip on the top of the screen. Now note that I never brought a sharp object anywhere near the calculator and I am always careful to ensure the screen in not bent. So now it's a race as to what will cause the screen to fail first, the batteries directly behind it or this chip cracking through on a cold winters night?